This month, we are talking about heatstroke. We all know that Chicago is a city of extremes, and that definitely applies to the weather in the summer! As pet parents, we need to make sure to keep our pups safe and cool when temperatures rise. 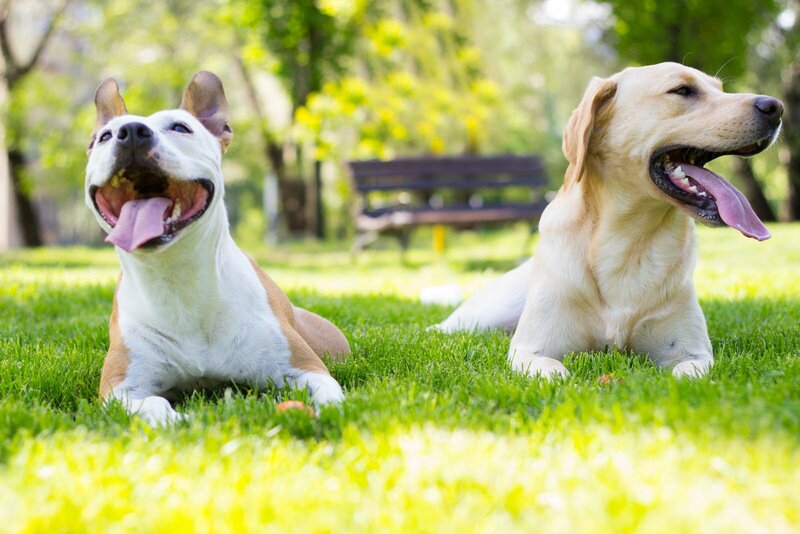 Read on to learn about the warning signs and ways to prevent heatstroke in your pet! What is heatstroke, and what does it do to a dog’s body? Dr. Marks describes heatstroke as when a dog’s body cannot get rid of excessive heat. It is extreme hyperthermia at the body’s core, and this extreme heat causes damage to many different body tissues. During a heatstroke, a dog’s body temperature will rise to 105 to 109 degrees Fahrenheit. For perspective, a typical dog’s normal body temperature is 100 to 102.5 degrees Fahrenheit. 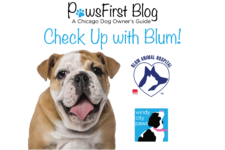 How common is heatstroke in dogs who live in Chicago? What are the outward signs of heatstroke that a pet parent could recognize? Skin that is hot to the touch, or if measured by a thermometer, a body temperature of over 103 degrees Fahrenheit. If you suspect your dog is experiencing heatstroke, what steps should you take to help them? 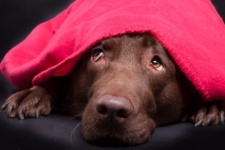 Heatstroke is always considered an emergency, and the first thing to decide is where and how to bring your dog to receive veterinary care as soon as possible. 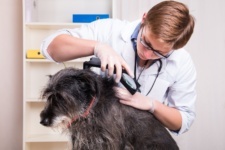 Once at a veterinary hospital, your dog will be assessed and triaged, followed by appropriate, controlled cooling methods being started immediately. 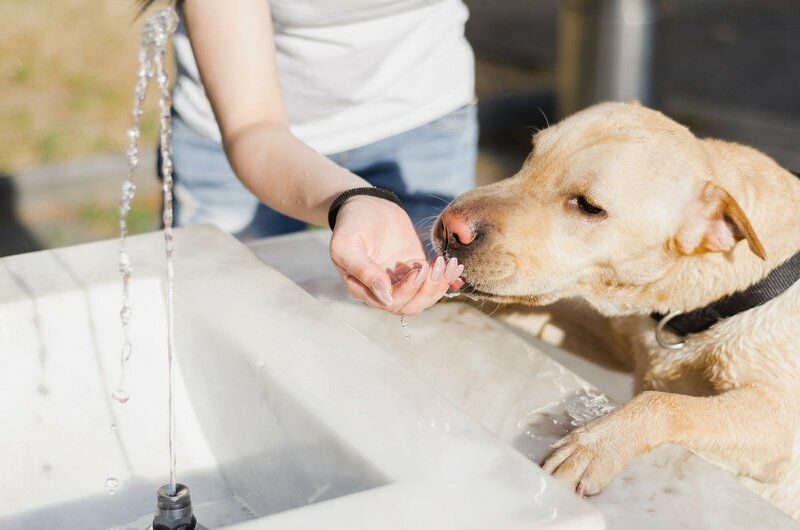 Intense cooling, such as plunging a dog into an ice bath, is strongly NOT recommended because it will cause the blood vessels at the extremities to constrict, which will cause the core body temperature to rise even more. However, on the way to the veterinary hospital, some home strategies can be done to help. These include wrapping the dog in a lukewarm, wet towel, wetting the pads of the feet with rubbing alcohol, and placing a fan in front of your dog. Are there any lasting side effects from having suffered a heatstroke for your dog? Now that we know what heatstroke looks like and how to treat it, let’s learn more about how to prevent heatstroke in your pet! First, are some dogs more prone to suffering from heatstroke? What factors determine this? In what types of situations are dogs most at risk for having heatstroke? Dogs kept in enclosed or unventilated areas, such as cars, grooming dryer cages, etc. Lack of access to water and lack of shade while outside or in unventilated areas. So what can you do to prevent heatstroke in your dog? 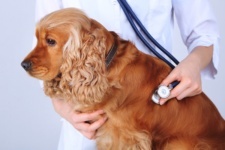 Dr. Marks encourages dog owners to first identify if their dog has any of the risk factors discussed previously, such as breed, age, chronic disease, previous history with heat-related illness, etc. If that is the case, she advises avoidance of situations that would place your dog at risk. Exercise these dogs before 10 am and after 4 pm during the warm months. Avoid leaving these dogs in cages at the groomer with dryers for extended periods of time or in unventilated areas such as cars. Always provide fresh, ample water when outside and plenty of shade. Most importantly, AVOID using ice baths or other extreme methods of cooling if there is concern of hyperthermia (increased body temperature). Seek prompt veterinary medical attention as described above. Heatstroke can occur in cats, just as in dogs. 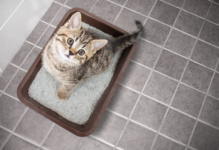 Dr. Marks explains that it typically happens in cats exposed to a hot, humid outdoor environment without shade or water, or in breeds with flat faces, such as Persians. Cats suffering from heatstroke look very similar to dogs with heatstroke, but may show more sudden difficulty breathing. Cats should never open their mouth to breathe, and if they do, it is considered an emergency. You should follow the same protocol of getting your kitty to the vet immediately if you suspect heatstroke. Heatstroke is a scary disease to think about, but armed with the right information, you can make sure that your pet stays safe in the warm weather this season! Thank you to Dr. Natalie Marks at Blum Animal Hospital for her insight into heatstroke in dogs (and cats)! We appreciate her hard work in making sure that every Chicago pet has the best life possible!